In the rapidly changing work landscape, talent managers play a unique role. We interviewed over 1,000 global leaders from 28 countries – almost double the 2017 results – during the spring of 2018. Half of the respondents were from organizations with over 500 employees, representing a range of industries led by Financial Services and Technology followed by Manufacturing, Nonprofits, Hospitals & Healthcare, and Education. Most were from Human Resources or General Management functions. What we found is most insightful and the following key factors emerged. 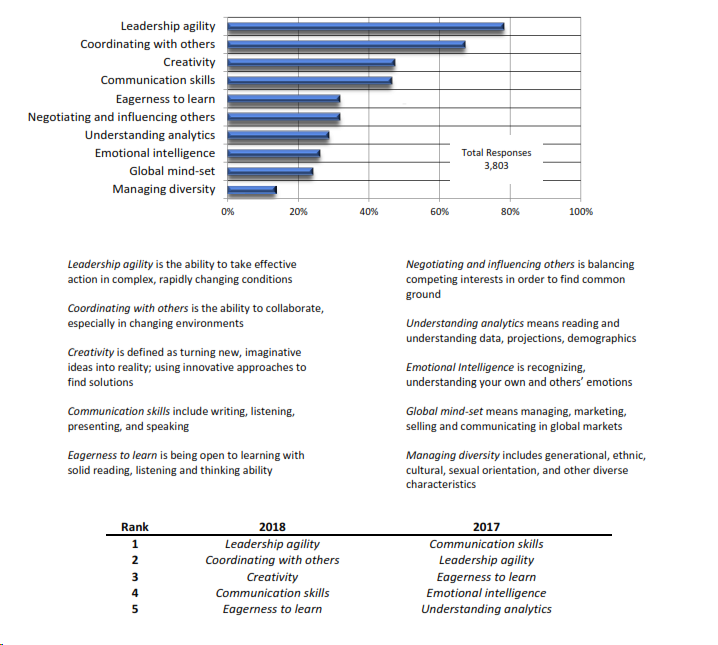 Leadership agility is by far the most important characteristic employees must have to be competitive today, followed by coordinating with others, mentioned by two thirds of respondents. Creativity and communication skills are ranked similarly in third place. Eagerness to learn and emotional intelligence lost ground compared to 2017. Robotics, artificial intelligence and machine learning, and social communications are dramatically impacting occupations and jobs. While technology doesn’t necessarily replace most jobs, it changes them. For many jobs, the hard skills that used to be required are replaced by an emphasis on soft skills as illustrated here. Recruitment is once again the most critical concern of talent managers in 2018 as it was two years ago, with most of them saying that attracting and hiring new talent is their biggest challenge. The same five people challenges have occupied the top spots each year we have conducted this survey; they’ve just traded places. 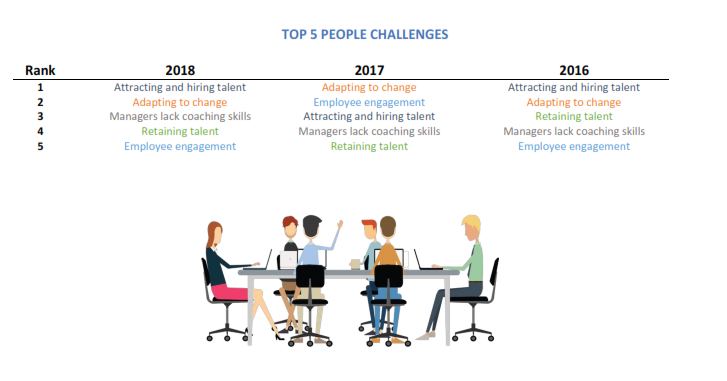 Half of talent managers say that adapting to change challenges their organizations, making it the second most frequently indicated issue. Once on board, retaining and engaging employees becomes paramount and it appears that managers’ lack of coaching skills coupled with their inability to have career conversations impedes much of their human resources agenda. Up to five answers per respondent were allowed. 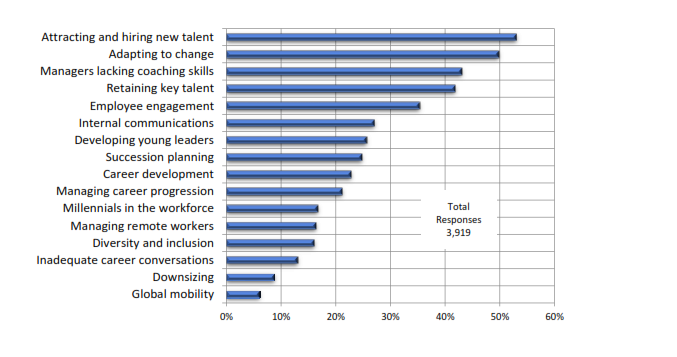 Internal leadership development programs, the traditional means of developing employees, were ranked the single most effective way to develop talent, by a large margin. Last year it was eclipsed by career conversations. It was followed by annual reviews (up four spots from last year) and assessments. Coaching continues as an effective way to develop employees, judging by the prominence of three coaching activities: training managers to become internal coaches, one-to-one coaching by external coaches, and coaching programs for high potentials. Self-directed career management resources, which typically take the form of proprietary, web-based elearning offerings, have garnered at least 10% of responses each year we have conducted the survey. They continue to be important but undervalued tools. Up to three answers per respondent were permitted. 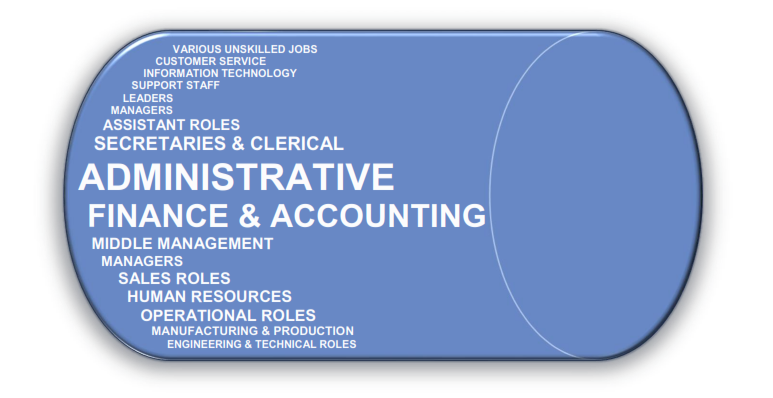 Most frequently mentioned are Administrative roles including Administration, Secretaries and Clerical roles, Receptionists and Support Staff. Add Assistant roles and the Administrative category is undoubtedly the most vulnerable to reduction or elimination, as it was in both of our previous surveys. With this kind of response, it’s surprising that there are still administrative jobs to cut! The combination of repetitive, predictable tasks as well as more and more capable technology tools — especially in the hands of non-administrators — are the likely reasons for these reductions. Finance & Accounting moved up dramatically in the ranking from previous years, making them the second most likely roles at risk or in decline. Managerial roles, especially Middle Management, follow in their likelihood to be at risk. Manufacturing & Production were mentioned infrequently compared to earlier studies. Our survey asked for up to three free text responses. The word wheel includes answers that were reported more than 20 times. The more frequent the answer, the larger the word appears. Organizations are most challenged today by attracting and hiring talent and then retaining them, keeping them engaged and adapting to change. The most valuable employees have soft skills that start with leadership agility, the ability to coordinate with others, creativity, and effective communications. They are eager to learn. In this environment of high velocity change, the roles most at risk are administrative, finance and accounting, and middle management. Non-revenue-producing jobs are devalued and many are simply going away. HDA understands your Talent Management challenges: the pressure to exceed business goals, the demands of recruiting and cultivating effective leaders, the pain of job separation and the costs of turnover. We also appreciate the integrity of your company’s brand and your obligation to advance it. As Talent Management experts, we walk closely with you to develop strength in your executives and managers, and sometimes to compassionately transition employees out of your organization to land on their feet. 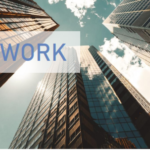 Our objective is to help you exceed your business goals through effective career transition, executive coaching, leadership consulting, recruitment and other talent development initiatives. If you would like to know more, please contact us today.